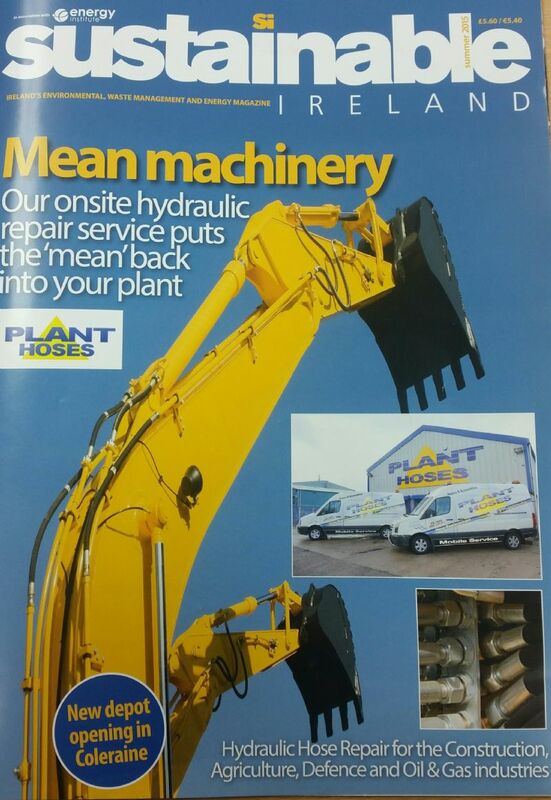 Plant Hoses are excited to be featured in this Summers edition of Sustainable Ireland. The magazine was established 4 years ago and is the only magazine solely dedicated to the waste management, recycling, environmental, energy, and sustainable living sectors on the island of Ireland. Inside the magazine Plant Hoses are featured in a two page spread, which highlights the growth and success of our company. Darren Greer, owner and Managing Director here at Plant Hoses, talks about our recent expansion with the opening of our new Depot situated on the Bushmills Road, Coleraine. Darren adds that the new depot will make Plant Hoses even more unbeatable when it comes to the rapid response times that the company is already renowned for. 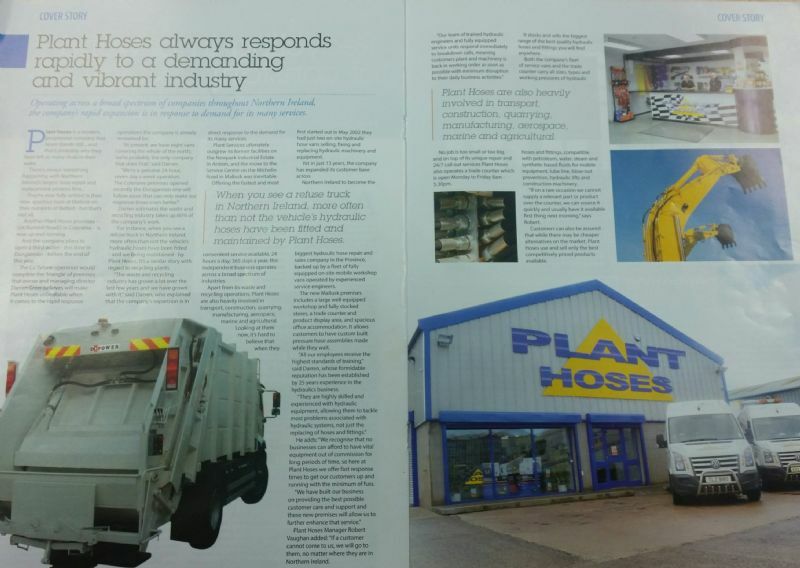 The two page spread also focuses on Plant Hoses major role in the Waste and Recycling Industry. Darren Greer estimates that the Waste and Recycling industry takes up, "60% of the company's work". He states, "When you see a refuse truck in Northern Ireland, more often than not the vehicle's hydraulics have been fitted and maintained by Plant Hoses"
Sustainable Ireland also speak to our Operations Manager, Robert Vaughan, regarding the aim for 100% customer satisfaction and minimum downtime. Robert adds, "If a customer cannot come to us, we will go to them, no matter where they are in Ireland."